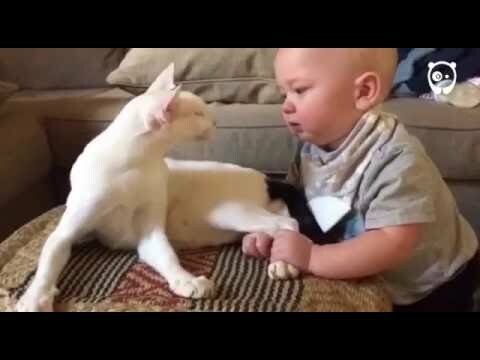 Gregory’s parents had no idea what was going to happen when their adopted cat met their son. First impressions last forever especially with animals, if you mess it up the first time, it is tough to fix later on. Their son Gregory pulled on the cat’s hind legs, and they were worried as cats typically retaliate to such things, but Lemsie instantly fell in love with his brother and licked him on the head as a sign of acceptance.